Bryce Harper's winter began by rejecting a 10-year, $300 million contract extension from the Washington Nationals. At the time, it looked like the Nationals were low-balling Harper, and that he would fetch much more on the open market. Alas, only a handful of teams have demonstrated an interest in committing a ton of money and a long-term contract to Harper. However, the San Francisco Giants have suddenly emerged as a leading contender for Harper because they have simply outsmarted the rest of the league. 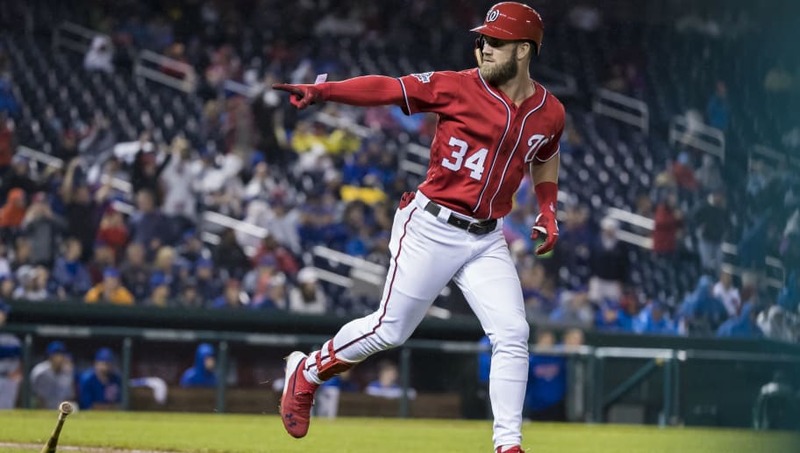 Rather than offering a long contract with a lower annual average salary, the Giants have reportedly offered Harper a "lucrative" short-term deal (just like 12up told teams to do last month). This type of deal makes perfect sense for both sides involved. By signing Harper to a short-term deal, the Giants would employ one of the best players in baseball while hedging the risk that Harper gets injured or is unable to continue to produce at an elite level. For Harper, who is only 26 years old, this deal would allow him to earn a higher average annual salary while still hitting free agency again in his prime when teams may be more willing to spend big. The Giants strategy looks like it may work. According to Bob Nightengale, at least one powerful baseball insider believes that Harper will be in San Francisco next season. Thus far, the Giants have only spent $9 million in free agency, allowing them to make a splashy signing like Harper. The short-term deal, while costing more per year, is a mutually beneficial option that more teams should have pursued. It may not be an even-number year, but it looks like the Giants once again will pull off some magic.